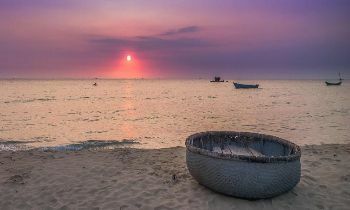 Phu Quoc is the largest island in Vietnam featuring the best beaches and coral reefs in Vietnam. 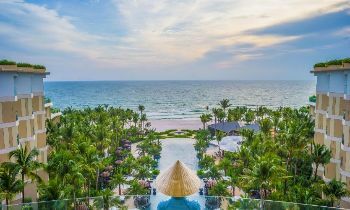 With the beautiful scenery and good weather, Phu Quoc has expected the most attractive tropical tourist heaven in Vietnam. 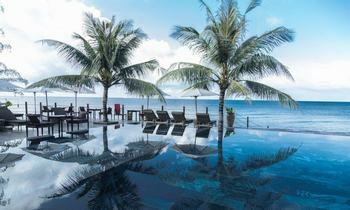 Phu Quoc is a peaceful tropical paradise floating in the warm turquoise waters in the Gulf of Thailand. This is one of the closest points to the equator in Vietnam, Phu Quoc has the warm and sunny climate all year round. The island is divided into two seasons including the rainy season and dry season. The dry season is also the peak tourist season beginning from November to March. 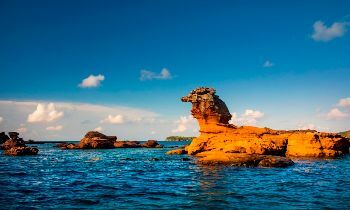 During this time, the island is well known for stunning beaches, untouched natural environment, relaxed atmosphere, and fantastic scuba diving and snorkeling. 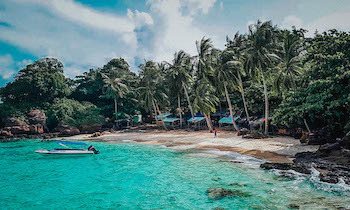 The majority of Phu Quoc is dedicated to Phu Quoc national park and protected the marine environment, providing a memorable experience with plenty of exciting activities and places to visit. 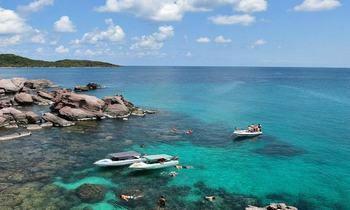 Phu Quoc national park was established in 2001 in the center of the island. This is one of the national parks in southern Vietnam covering the primeval jungle. 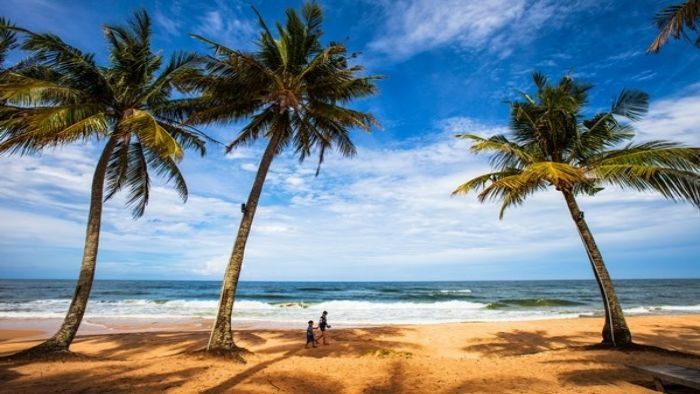 This is an ecological tourist destination attracting tourists to explore the natural beauty of rainforests, sea, streams, waterfalls, and poetic tropical beaches. You will be surprised by the number of beaches on this island, and some of them are listed on the best beaches in the world. 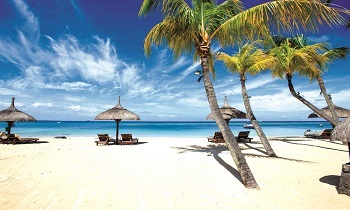 The beaches here have the good sand quality which is soft, white and smooth fringed by coconut trees. Some beaches have the crystal clear water and soft waves. Long beach and Ong Lang beach are two favorite tourist beaches for tourists with the calm clear water and long sandy beach. 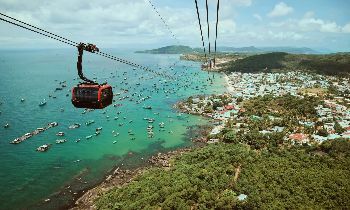 Whereas, the most famous beach on the island is Bai Sao beach where the ocean has soft waves and various swings for photos. Phu Quoc prison is where northern Vietnamese soldiers were kept during the Vietnam war. 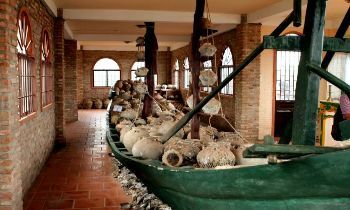 After the reunification of Vietnam, this prison has become a museum where it displays the torture instruments, photos of former prisoners and mass graves. The prison welcomes tourists from 7.30 a.m to 11 a.m and 1.30 p.m to 5 p.m daily. Unlike most of the markets in Southeast Asia, Dinh Cau night market is not where you come to buy souvenirs, it is a place for fresh seafood and local Vietnamese dishes. If you are keen on trying the local dishes, you have to pay a visit to this market. Coming to the night market, you will have numerous choices for your meal, even you can choose the live seafood which will be cooked fresh for you. One of the favorite dishes to eat at the night market is yummy rolled ice cream, they have a variety of flavors which they mash into the fresh ice cream and roll it into cups. You can visit Dinh Cau night market any night of the week. 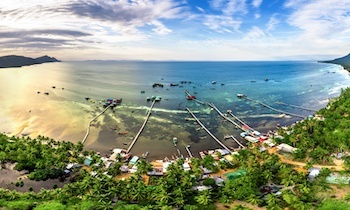 Phu Quoc is one of the funniest amusing hubs in Vietnam where you can find the joy anywhere on the island. 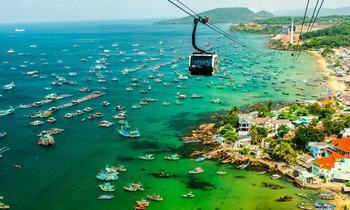 Don’t forget a Phu Quoc trip on your Vietnam trip. If you have any questions, contact us without any hesitations. Thank you!